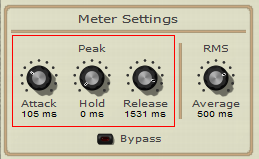 This tutorial shows how to perform real time ducking in your favorite host, using the DP Meter Pro plugin (DPMP). 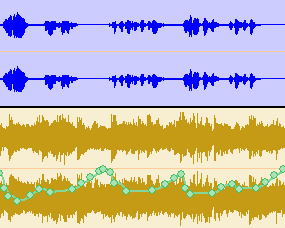 The following example is a typical "Voice Over" situation where you want to add a voice over a musical content, and you want the music to get quieter when the person is speaking, and the music louder when nobody is speaking. 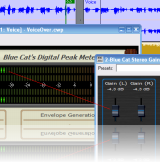 It's a typical radio station or movie making use case. 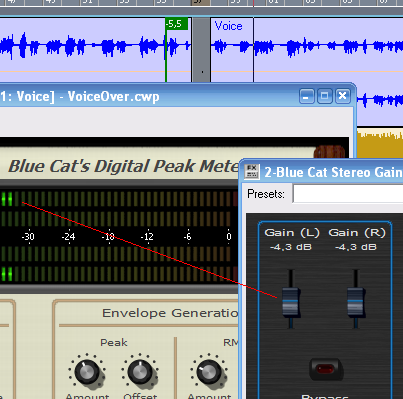 To do so we will use the DP Meter Pro analysis tool to control the volume of the music track with the freeware Gain Suite tools: the gain applied to the music track will be inversely proportional to the speach (voice) track volume. 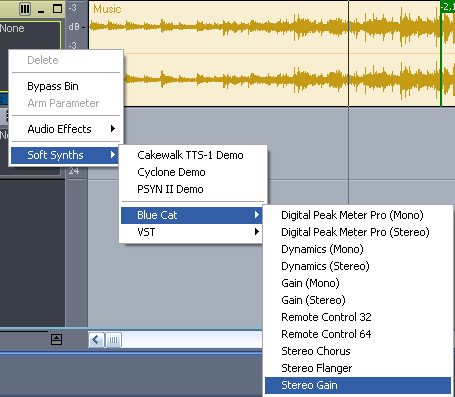 This tutorial uses Cakewalk Sonar, but you can transpose it to any other DirectX or VST host such as Sony Vegas, Ableton live, Cubase... See our other Tutorials to learn the basics of the DPMP in these hosts. 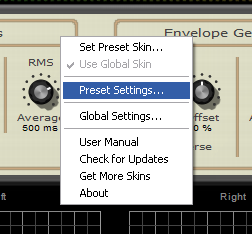 You are now able to perform automated ducking for a voice-over application with a few clicks. 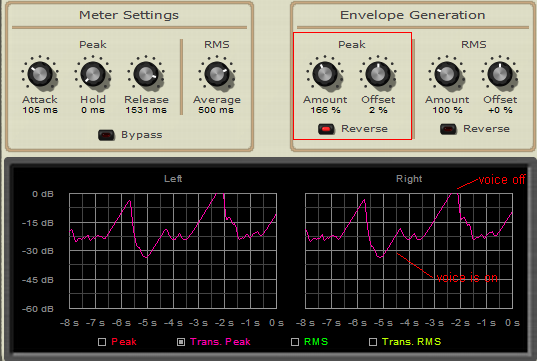 You can apply this methodology to other applications, such as instrument ducking in an audio mix. 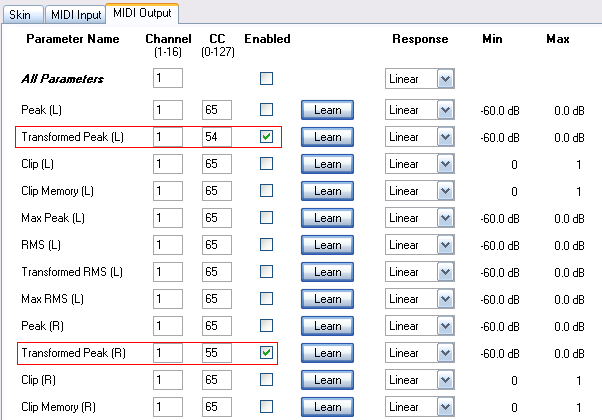 If you host does not support MIDI CC, you can as well use its automation capabilities as shown in this tutorial.